Many people refer to it incorrectly as its "dark" side, but the far side of our moon actually receives about as much light, on average, as the side facing Earth... you'd just never know it, because the Moon's rotation is such that the same side is perpetually facing us (the result of a phenomenon known as tidal locking). The image up top reveals the topography of the Moon's mysterious far side in technocolorrific, Jackson Pollock-esque detail. Borne out of a a partnership between NASA and the US Geological Survey, the map is just one in an awesome series created by the two organizations between 1971 and 1998. 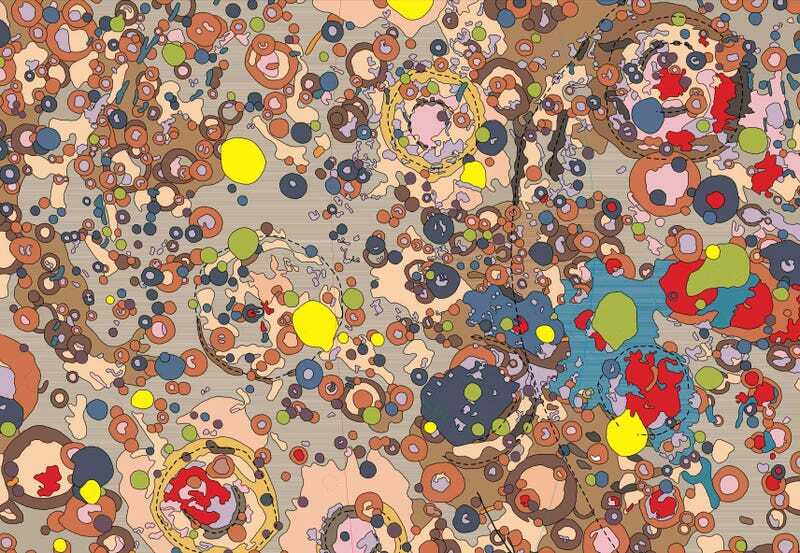 You can download absolutely massive versions of this and other geological maps of the Moon, Mars, Mercury, Venus and the Galilean satellites over at the US Geological Survey. (For the hi-res download of the image you see up top, click here).